In this tutorial we will learn how to vectorize text using CorelDraw for use with a Trotec laser engraving machine. Keeping the resolution of the text constant as its size increases. Changing the appearance of the font. Allow you to connect letters together. 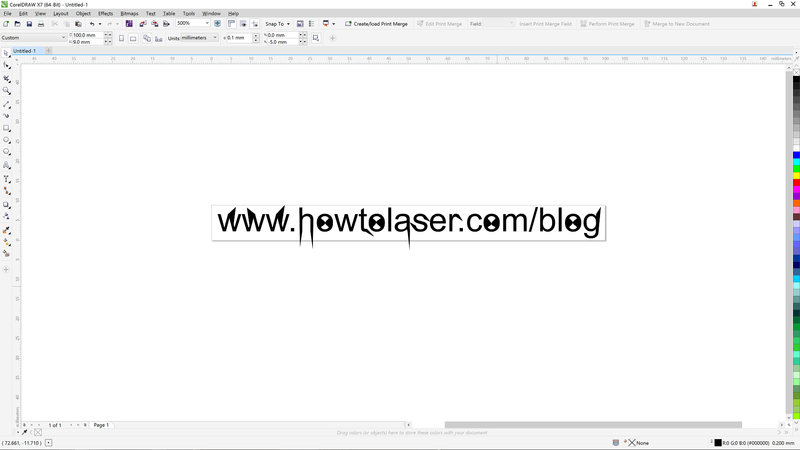 Create a quick stencil from readily available fonts. In this tutorial we will touch on the basics of vectorizing text, if you would like to see a more detailed tutorial on any aspect of vectorizing fonts, please leave a comment below. The first step is to open CorelDraw, here I am using CorelDraw X7. 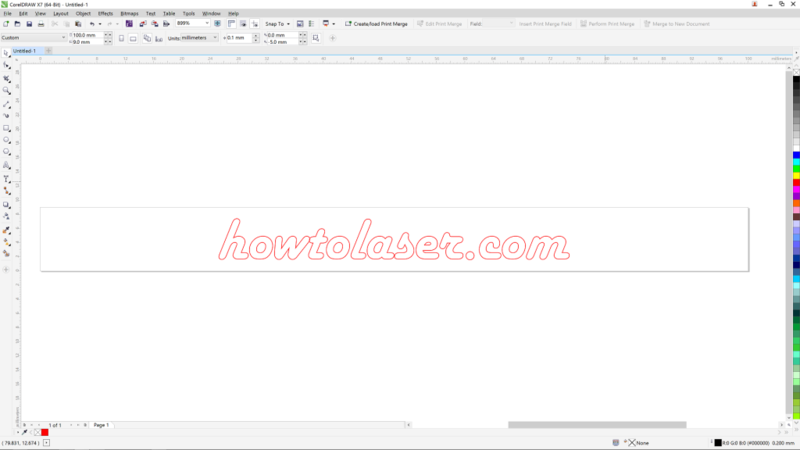 Once you have created a new document, place some text onto the blank document as shown above. The next step is to right hand click the text we just placed into the document, and click “Convert to Curves”, or alternatively by clicking “CTRL + Q”. NOTE: Once the text is converted to curves, you are unable to edit the text string. You must do that before vectorizing it. 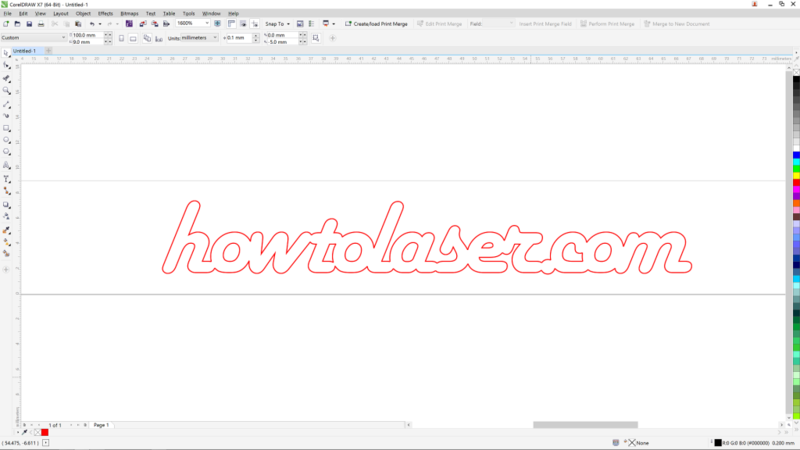 Now that the text is in vector format, you can edit it just like any other vector object in CorelDraw. Here we can see I have edited the nodes of the text by double clicking the text with the pointer tool. 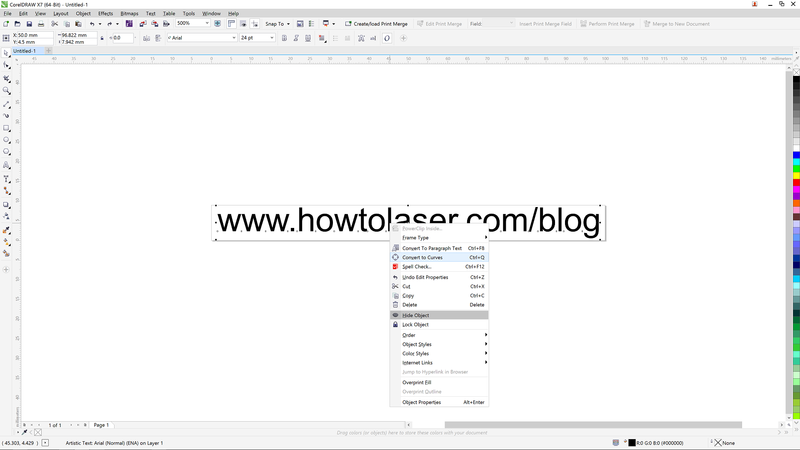 Alternatively you can click the shape tool from the toolbar and click the text. There is also a shortcut for this feature, you can call the shape tool by pressing “F10”. Here you can see I changed the font and created an outline of the text. This can be printed directly to JobControl now and cut out of a piece of material. In the image above, you can see that I have broken the curve apart, so I can edit each letters size and position separately. This can be done by right hand clicking the vectorized text and clicking “Break Curve Apart” or by pressing “CTRL + K”. In the image above I have moved the letters together so that they overlap. This is useful for making words with connecting letters… in the next step we will fix the letters up so they won’t all fall apart. As you can see I have now removed the links between each letter, so now the whole text string is one complete curve. I did this by using the Virtual Segment Delete tool. 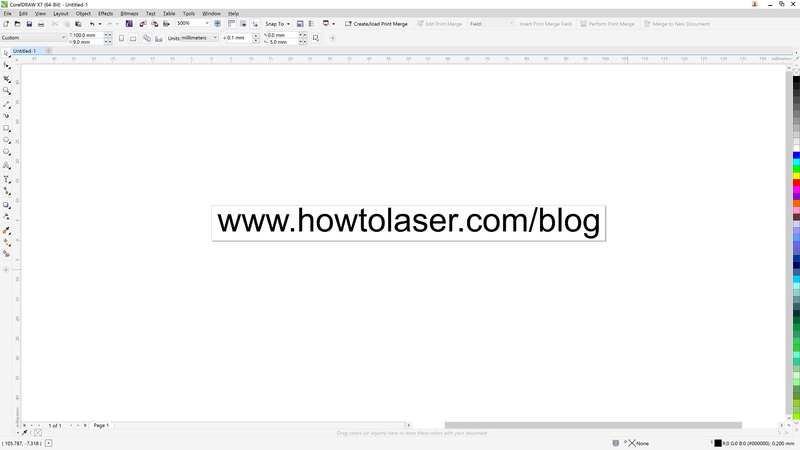 Click here to see how to use this tool.